The mission of the Kennett Consolidated School District is to provide a quality education that increases the achievement of every student in order for all to become successful and thoughtful contributors to society. "Bancroft Elementary School is dedicated to creating a safe and rewarding educational experience for all children. Our goal is to focus on student success by fostering a positive, accepting and supportive learning environment where students are proud of the work that they do each day." "Greenwood is comprised of hardworking students and dedicated teachers who measure success, not only in high-test scores, but also in lessons learned, problems solved, performances presented and projects completed." "Mary D Lang Kindergarten Center has a balanced educational program that is focused on the whole child with experiences designed to expand the mental, physical, emotional, and social development of every student." 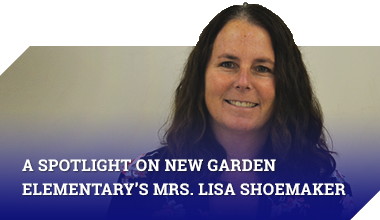 "Here at New Garden Elementary School we are committed to providing a nurturing and supportive learning environment for students to grow and feel successful while providing an excellent instructional program to meet the individual needs of all students." "The entire Kennett Middle School staff believes that it is an honor and privilege to educate and care for the most prized possessions of our community, your children. We are a school that creates a well-balanced learning environment with high academic and behavioral standards." "At Kennett High School, we hold our students to the highest of expectations both in and outside of the classroom. Together, we collaborate and communicate to ensure a positive learning environment where all students feel safe, welcomed, and inspired to improve each and every day...."
"KHS is very proud of our teams, coaches, and especially our student-athletes. They all do an outstanding job of representing KHS with hard work, dedication and sportsmanship both on and off the field." This link is a must read for all potential college bound student-athletes.